The original Norman Lindsay handmade etching of (The Drape) was etched in c.1920 and is unpublished so no edition was ever produced. 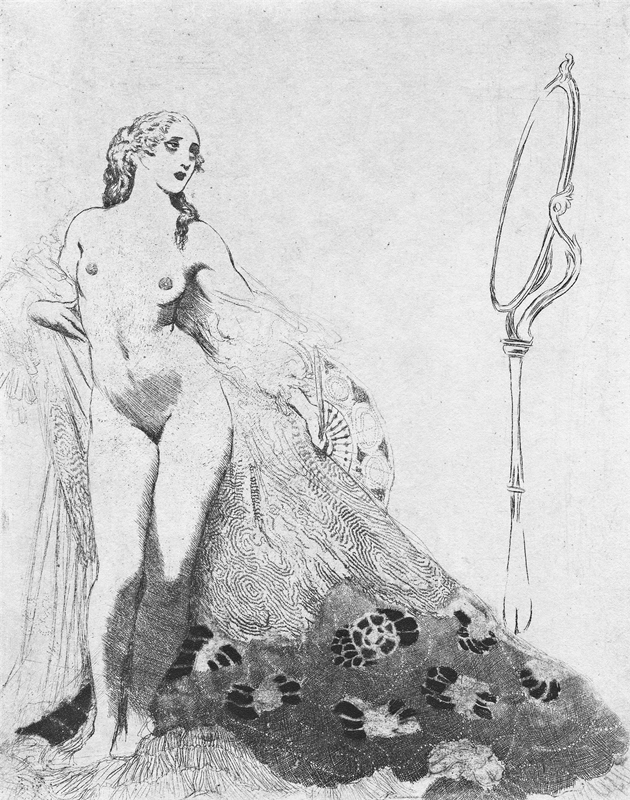 The Norman Lindsay etching print image in The Complete Etchings of Norman Lindsay and Norman Lindsay Etchings: Catalogue Raisonne is of the final proof that was found in the Mitchell Library Folios. Since then, a more complete state of the etching was uncovered which the Facsimile shows. For those with either of the books, have a look to see where Norman has reworked the plate.